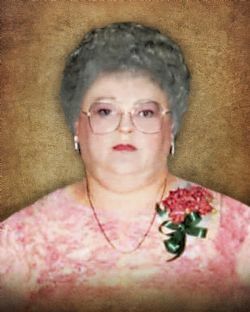 Patricia “Pat” Gammon Longtime Ponca City resident passed away Saturday morning with her loving family by her side. She was 78 years of age. Pat was born on January 4, 1940 to Merl J. Kelly and Rachel A. Wood Kelly in Ponca City, OK.
Funeral services will be held 10 a.m. Wednesday, November7, 2018 at Grace Memorial Chapel with Rev. Glenn Nestlerode co-Pastor of First Christian Church officiating. Interment will follow in the Odd Fellows Cemetery under the care of Grace Memorial Chapel of Ponca City. Visitation will be held Tuesday from 5 p.m. to 8 p.m. Casket bearers will be Jimmy Robertson, James Robertson, Ethan Ewing, Nathan Maldonado, Dustin Jones, Joseph Howard and Jason Rector. Honorary Casket bearers will be her Great grandkids. Pat grew up in Ponca City and graduated from Marland High School. Pat married the Love of her life Edward “Corky” Gammons on June 26, 1958 in Ponca City and they made Ponca City their home. Pat managed the Ponca Bowl for over 20 years. She enjoyed bowling and spending time with her grandkids. Survivors include: 2 daughters: Kelly Gammon of Newkirk, OK and Krista Robertson and husband Jimmy of Ponca City, OK. 2 brothers: Jack Kelly and wife Alice of Tonkawa, OK and Bob Miller and wife Shirley of Florida. 1 sister Lynda Wilson and husband EJ of Ponca City, OK. Also surviving are her grandkids; Ashley & Jason Rector, Dustin Jones, Joseph Howard, Ashlie and Nathan Maldonado, James and Teri Robertson, Angela and Ethan Ewing. Great grandkids; Heaven Snow, Graciee Snow, Wyatt Rector, Kylynn Whitaker, Dagon Robertson, Aidin Robertson, Kimilynn Robertson, Bradford Robertson, Raelynn Ewing, Todd Ewing, Bradon Robertson, Noah Robertson, Mercedes Maldonado, Adrian Maldonado and several nieces and nephews. Pat was preceded in death by her parents, Husband Corky of 54 years, One daughter; Kimberly Ann Gammon and one brother: Jimmy Kelly.